This year marks the 49th anniversary of Earth Day. What better way to toast Mother Nature than with the fruit of the vine? While I subscribe to the truism that everyday is Earth Day, the annual celebration April 20 is deserving of special recognition. We are reminded of our stewardship responsibility to care for our planet. The theme for the 2019 Earth Day is “Protect Our Species.” It references the importance of preserving “biodiversity,” a fundamental issue championed for many years by the eminent biologist E.O. Wilson. Many of our local winery and vineyard businesses employ sustainable practices that support the spirit of Earth Day. So why not highlight their efforts? I asked Satori Cellars and Hecker Pass Winery if they would be willing to host walking tours of their properties and discuss their farming and winemaking processes. Both were very generous with their enthusiastic support. Tom and Sandy at Satori Cellars decided to offer a private tour to their substantial wine club membership, and I will assist with their presentation. Mario and Carlo at Hecker Pass Winery offered their La Vigna patio overlooking their vineyard for a public program. 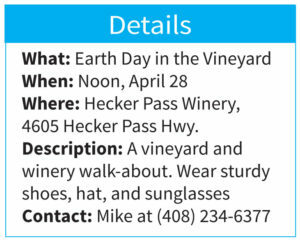 Hecker Pass Winery will be the site of a Hike with Mike event for the Earth Day celebration. The concept of sustainability has been around for a long time. In business or at home, when our cash outflow consistently exceeds our intake, then it is very difficult to sustain a viable pathway into the future. The same idea applies to our environment. When our resource base is depleted or degraded, then a shift in our behavior is required. In the world of viticulture and winemaking today, most producers recognize the long-term benefits of caring for the land and they employ a range of ecologically sensitive management tools. The Earth Day event is just one of many inspirations that has prompted a renewed sense of environmental stewardship. Examples of sustainable farming practices in South County include energy and water conservation and recycling and composting. Sustainability has an exceptionally broad meaning. Perspectives and philosophies abound about how to best manage air, land, water and wildlife resources. Working with Mother Nature, rather than trying to overpower her, has become the new norm, and this approach is increasingly evident at local winery properties. 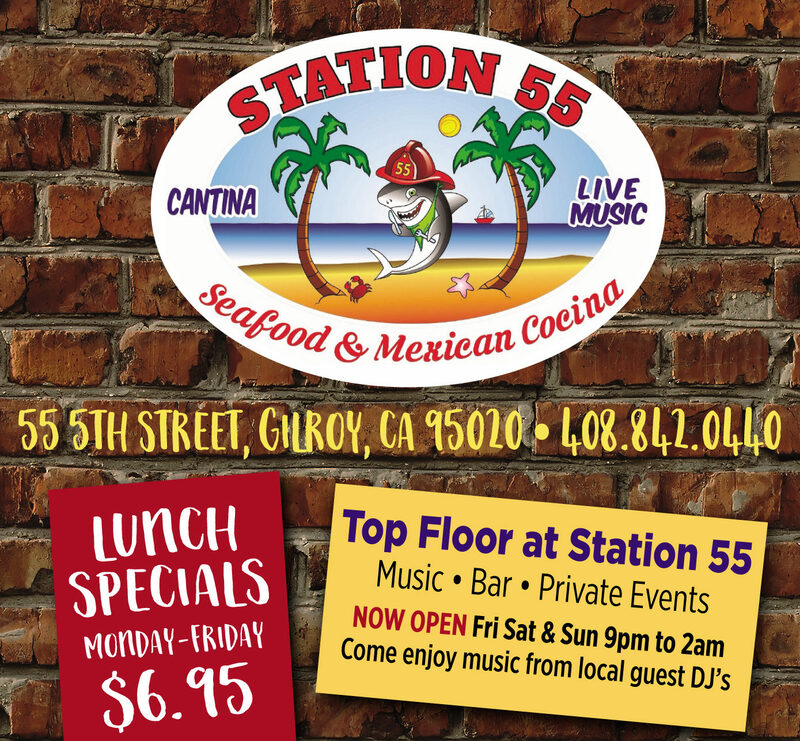 Some of the sustainable strategies include certification programs. Or there are less standardized practices employed by producers who subscribe to “natural” winemaking techniques. The worldwide trend toward sustainable agriculture is on a roll. California is a huge force in this movement. California is the fourth leading wine producer in the world with 3,800 wineries and 4,600 vineyards. There are two California-based sustainability programs, both of which have certification thresholds, that are becoming more well-known — and some of our local wineries are now displaying their signage. 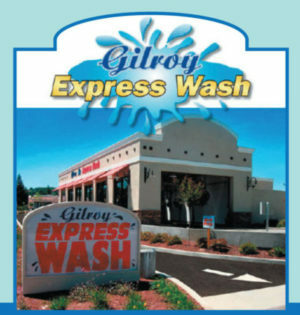 These programs both share a common thread with their stated goals of being good neighbors for the community and being good stewards of the environment. In 2002, the California Sustainable Winegrowing Program was created through the Wine Institute as “an educational program to help vineyards and wineries continuously improve in their sustainable practices.” Likewise, the Sustainability in Practice certification regime was developed in 2003 with a similar vision. Both programs have evolved to include a certification system based upon compliance with a number of robust protocols. Measurement standards include the monitoring of soil health, cover cropping, low or no tilling, water quality and usage, pest management, energy conservation, herbicide and fertilizer control, business practices and social responsibility goals. The Wine Institute sums up the benefits of sustainability by emphasizing the “G’s” from “Grapes to Glass — Good for the Environment, Good for the Community and Good for the Grapes and Wine.” Winery and vineyard owners can easily access these voluntary programs and many are already implementing some sustainability techniques as a part of their best practices. Enjoying a glass of wine from one of our wonderful local wineries, looking over the vines and to the green foothills on warm springtime afternoon is an experience that’s hard to beat. The feeling is even more enjoyable when we know the land has been treated with care and respect. So savor the wine with some organic fresh fruit, chocolates or cheese and say thank you to Mother Nature for the privilege of being here at this moment in the Valley of Heart’s Delight. Keep on sauntering! Mike Monroe coordinates local discovery outings to fun and friendly places like wineries, parks, museums in the Valley of Heart’s Delight. Visit thevalleyofheartsdelight.org.